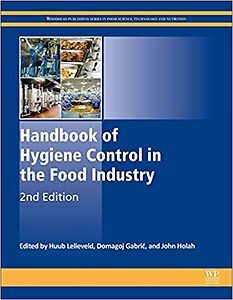 Handbook of Hygiene Control in the Food Industry, Second Edition, is an authoritative reference of practical information about ensuring food safety and quality. Written by leaders in the field who understand the complex issues of control surrounding food industry design, operations an processes, contamination management methods, and route analysis processing, as well as allergenic residues and pest management, the book provides a comprehensive account of risk analysis and management solutions to minimize risks and hazards and will guide professionals and students towards a safe food supply, farm to fork. Part I of the book examines various risks to food safety, from microbial risks in food packaging and aerosol contamination to improving food hygiene and other processes. Part II explores how the machinery of the food industry-such as pipes, valves, freezers, and tranport vechles-can affect the safety of food. Part III offers stratefies for cleaning and disinfecting food industry tools and production enviroments. Part IV provides solutions for monitoring and verifying hygiene through every stage of the food production process. 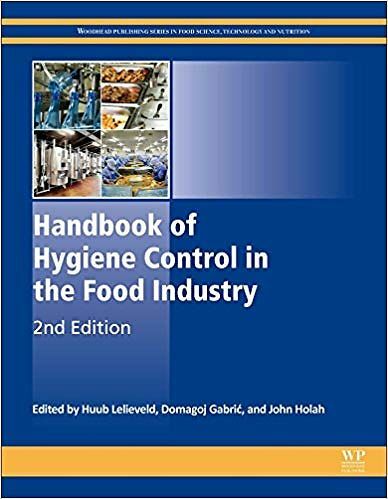 Handbook of Hygiene Control in the Food Industry, Second Edition, is written for food industry professionals and managers, food scientists, microbiologists, and engineers, and public health and government officials by knowing experts from every facet of the food industry. 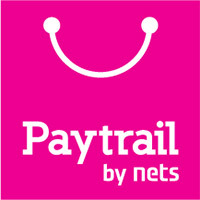 It is also strongly recommended for students who aim at a career in the food industry, small and large.